Toms Carpet Repair expert for Carpet Restretching, Carpet Installation and Carpet Repair services for new and old carpets. Some of the causes of carpet damage we can repair include cigarette burns, iron burns, pet damage, vacuum burns and bleach spots. Toms professional team is expert in fixing carpet holes, re-seam joins, dents, snags, rips and carpet edges. If you have a problem with your carpet then contact us before replacing it. We able to provide you an effective and affordable fix. We are available for 24/7 every day for your emergency carpet repair, carpet cleaning and carpet stretching. Our customer service representatives are ready to schedule an appointment that is most convenient to your schedule. Call us immediately when you require best Same Day Carpet Repair. Your carpet will look as good as new, and its luminosity will also be restored. Embarrassing stains and blotchy spots on your carpet are less than visually pleasing. Carpet repairing is an efficient, safe solution with minimal downtime that’ll have your home looking like new in no time. Not only is it an effective process, repairing your carpet can save you money long term. Completely replacing a carpet can be a costly expenditure. Spot repairing takes less time and costs less money and you can virtually get the same result. Regular cleaning and maintenance of the carpets in your home not only keeps them looking their best, but also get rid of any pollutants, dust, bacteria and other harsh elements that can build up on the surfaces over time, thus protecting the health of you and your family. In many instances, the best solution when dealing with ripples in carpeting is to simply have a professional restretch carpet to correct the problem. Tears are equally troubling and difficult for homeowners to deal with in terms of repairs. Toms carpet repair technicians can often mend carpeting to make it look seamless. Split seams are frequently experienced in older carpeting. Experts in Toms carpet repair can repair split seams in much the same way that tears are repaired so that there is no visible evidence there was ever any problem with the carpeting. Carpet Restretching is an excellent alternative to completely replacing your carpet. Carpet stretching prolongs the life of your carpet and helps to prevent any accidents or falls from occurring. Toms carpet Restretching uses a combination of tools to restretch and smooth out buckles, wrinkles, ripples from your carpet. We have restretched and repaired hundreds of yards of carpet satisfying many clients who did not have to replace their carpet, therefore saving them thousands of dollars. Toms Carpet Cleaning is always there to help you! We do indeed cater for all types of carpet repair for businesses. In fact we work on everything from Offices to Mosques, Restaurants to Hotels and have even repaired carpets for such prestigious businesses. That’s why calling us is your best option. We can fix the damaged area so there’s no need to spend all that money on a whole new carpet. As carpet repair experts, Toms Carpet Cleaning have the skills to retuft and patch sections of carpet for a flawless finish. Carpet replacement for the sake of a couple of burns or scorch marks is an extremely expensive process. Not for good reason do insurance companies have ‘get out clauses’ written into many of their home and contents policies. Scorch and burn marks are a common occurrence and more so than the average person might believe. Chances are if you try to claim for a carpet on a home contents insurance policy, you may find it is one of the exemptions and isn’t eligible for a claim. Our Professional carpet installer not only does repair carpet, They can also install carpet. When you need to replace your flooring, Contact Toms Cleaning 1300 068 194. We can get the job done right in affordable price! Before you consider replacing an entire carpet for the sake of a burn or scorch mark left behind by an iron – think again. You can get a carpet burn repair carried out quite cheaply compared to the cost of carpet replacement. Deep burns such as those caused by cigarette or cigar ends dropped onto the carpet will require a patch, if of course you can find suitable material. Toms Experts in carpet burn repairs can help you, get in contact with us today and let us get your carpets repaired completed in a cost effective manner at a time convenient to you. You can get in touch with us by calling 1300 068 194. If your carpet is damaged, only select parts of it will need replacement. Carpet patches are used in situations where the carpet has been physically damaged such as a pulled row, a cigarette, fireplace burn or a bleach spot. Our Professional Carpet Patching team can take out the stained carpet and patch it with a piece of your remnant carpet. They are careful to match up patterns, weaves and textures. When we clean the undamaged old sections and replace the damaged parts with new segments, the cost is significantly lower than getting a new carpet, and it looks great too! All carpets have seams, but an open seam has the potential to be dangerous. These problems might start small like a fray but will eventually develop into a larger problem like a lift. 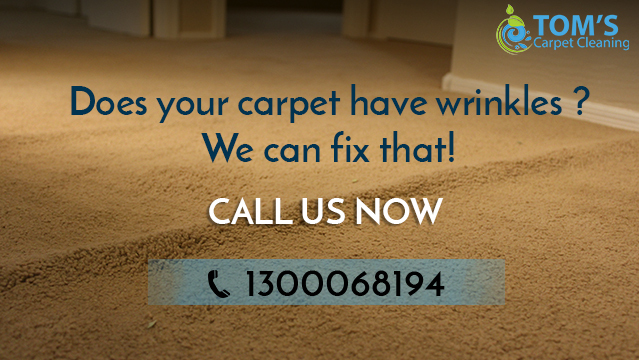 Whatever your situation, Our Carpet repair experts can handle it in efficient manner. In some cases we will need to remove the seam that is damaged and attach a new piece of carpet with a new seam. Seam repair is less expensive than replacing your entire carpet and will definitely prolong the life of your carpet. Dogs and cats wreak havoc on carpets. There is no other way to put it. Our carpet repair specialist are very familiar with Carpet damage by pets and can handle this problem with speed and efficiency. Pets like to scratch, claw and chew everything in sight especially carpets. Good thing Toms Carpet Repair & Carpet Restretching is around to fix the damage they cause!